Ibrahim Hasan Murad, President, ILM Trust, warmly welcomed speakers, exhibitors, students, faculty and staff members. 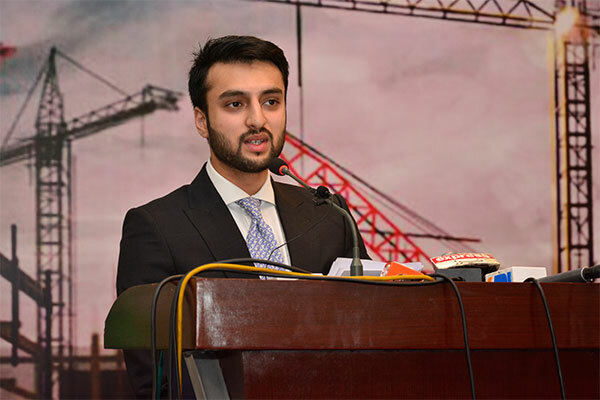 He thanked the chief guest Mian Mehmood ur Rashid, Provincial Minister of Punjab for Housing, Urban Development and Public Health Engineering, for gracing the event with his presence. He mentioned that Mian Mehmood ur Rashid shares very close bond with his family and late father Dr Hasan Sohaib Murad, Founder, ILM Trust and UMT, and he always supported UMT and the cause of education. He also appreciated to Chief Organizer of IBCE Abid H K Shirwani and added that next year’s event will be bigger and innovative with more exhibitors, conference participants, foreign partners, scholars, researchers and attendees. 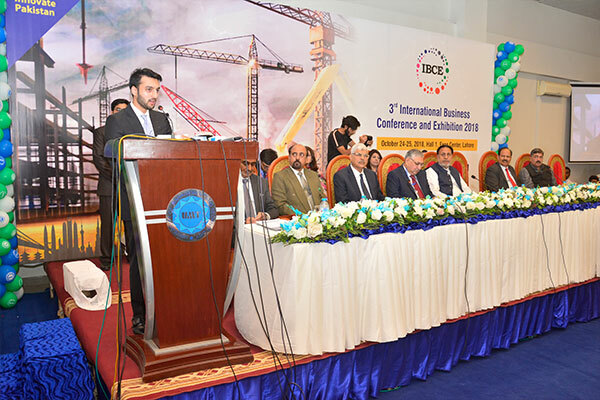 Ibrahim Murad shared that the IBCE has ignited the memory of his late father Dr Hasan Sohaib Murad who envisioned the creation of nexus between academia, industry and government. This is most important for any advanced economy. He hoped that academia, industry and government would work in unison, and take the nation one step forward. He said that the exemplary leadership of Dr Hasan Sohaib Murad who had comprehensive vision to see Pakistan as a globally competitive and innovative, would always be the guiding light for all. He informed everyone Dr Hasan was worried about the state of the Pakistani economy; he signed an agreement with a Swiss Institute just a few weeks before his death. According to this agreement, UMT and the Swiss Institute will prepare a report on the competitiveness of Pakistani products and services, along with solutions and recommendations. This indeed would be a world-class report involving the top business schools. Ibrahim stated that we should always look forward to never ending opportunities such as business to business expansion, catering for international business communities, attracting foreign investors, joint ventures and other innovative business practices. He hoped that IBCE would one day be recognized as a Word Expo for Pakistan. Expo means which in all the sectors and industries will come under one roof not like this year in which we only covered building and construction, home appliances, and renewable energy.